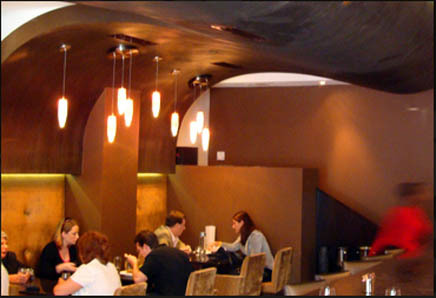 The interior architect of the premier chocolate and cocktail bar wanted a dramatic finish that would simulate waves of molten chocolate flowing down the walls leading to the dining room seating area. ATS Studios created this effect with a dragged plaster custom blended to resemble dark, rich chocolate. 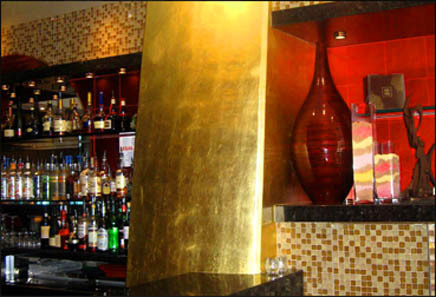 In addition ATS Studios installed a gold-leaf finish over the exposed concrete columns in the bar and dining area. 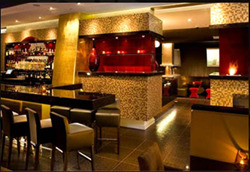 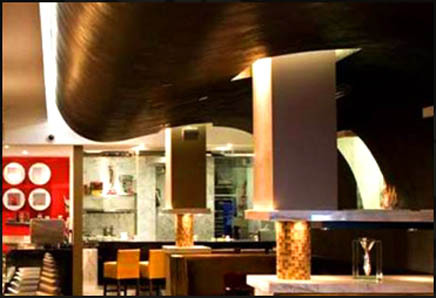 Together, these finishes give CoCo Sala a unique and elegant ambiance.